You must have come across IAStorDataSvc error on your system, but have you ever wondered why it happens and why exactly it takes up so much space on your system. It so happens that users report while they upgrade software from one Windows version to the next, IAStorDataSvc often creates issues by taking up resources. 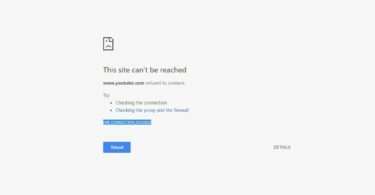 To fix this issue, here is what you need to know about this error. IAStorDataSvc is a system process that indicates the Intel storage Data service. Though the process name seems too complicated and fishy this Intel storage service is not a virus, malware or a phishing activity that keeps running on the background of your computer system. It is used and processed by Intel Rapid Storage Technology that saves all the data, and the used files in the SSD storage also known as Solid state drive and keeps access to the drive too. This procedure of the IAStorDataSvc helps you to access and view all the software, tools, and apps instantly without any lags. It acts as a good booster for your computer system. Apart from all these benefits, it takes up too much space, and that is not good. So, there comes a question, to keep the IAStorDataSvc 32-bit system on the computer system or not? It is not a virus or a malware as mentioned earlier. If you have upgraded to the latest version of Windows, then the IAStorDataSvc process is more likely to get it installed along with the operating system. It just improves the user experience and performance on your computer. Still, if you don’t use the SSD, then it is not necessary on your computer system. So, yes you can ultimately stop or disable it which will work as a fix to the IAStorDataSvc issues. 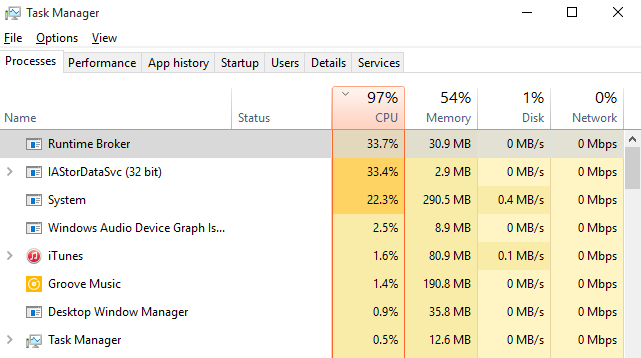 How to fix IAStorDataSvc high CPU usage error in Windows 10? There are several alternatives that can help you to stop this issue in your computer system. 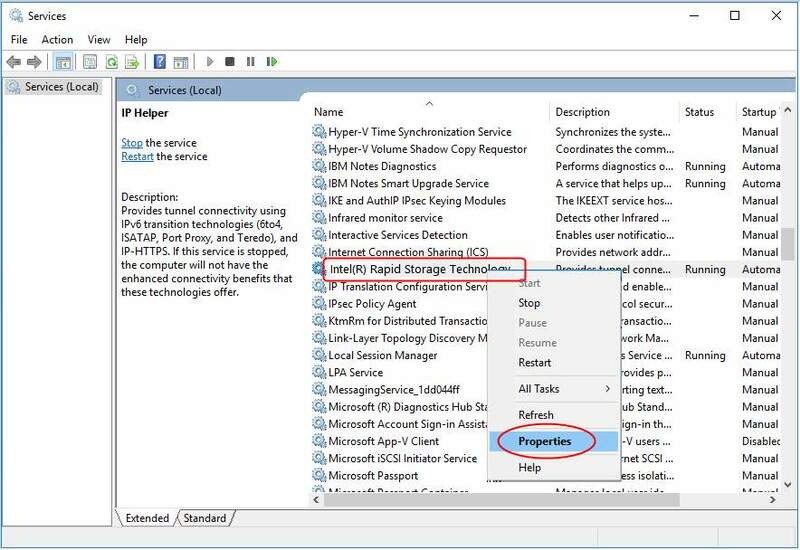 Just follow these solutions to fix this error today. To save your disk space or the CPU storage you can simply scan your computer system for possible virus or malware activities. This malware or phishing activities sometimes can cause you with these annoying issues such as High disk space consumption. Take a full and a complete scan of your system and check if it has any kind of corrupted software. If yes, remove it immediately. 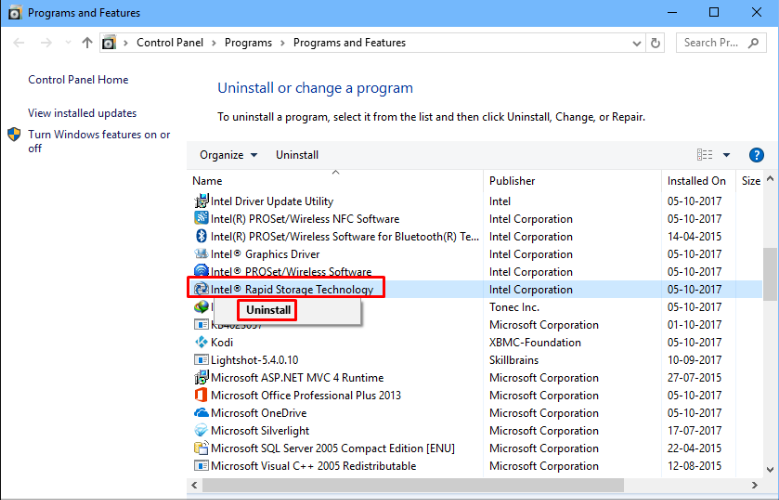 You can uninstall and reinstall the Intel Rapid Storage technology. If the service is corrupted or is not installed properly. Follow the steps below to reinstall Intel Rapid Storage Technology. After completion, restart your computer to save the changes. 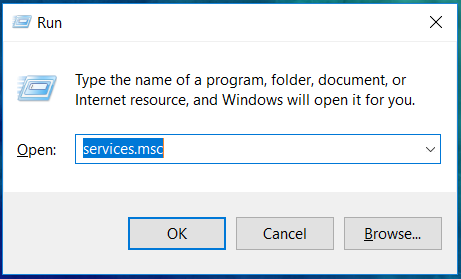 Now, after uninstalling the service you need to install it back on your computer. At first, you need to download the latest version of the service from the official website of Intel. You can use the link here it will take you to the download software page directly. After downloading the whole process, follow the rest of the steps in order. 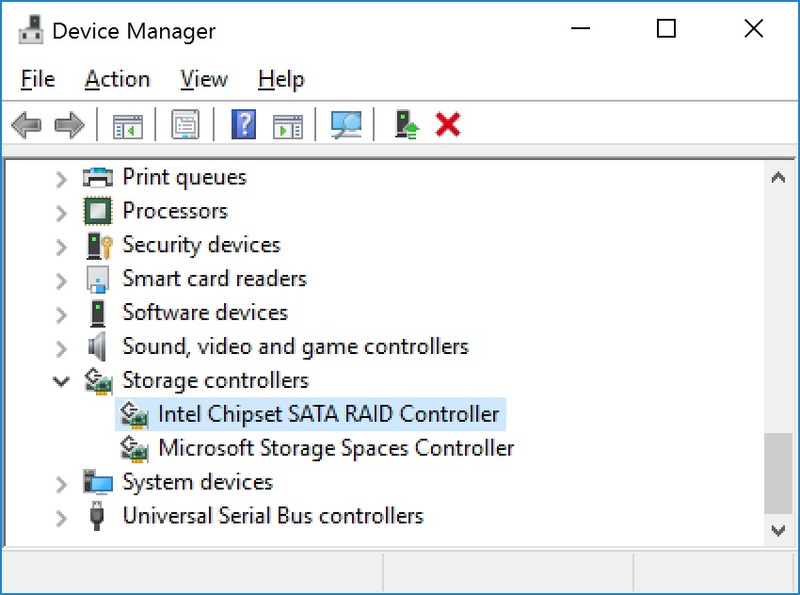 Now, at the Device Manager Window, locate Intel Chipset SATA RAID Controller and expand the service by double-clicking. Finally, hit the Next to begin the process of update and wait until the process gets completed. Once the installation is done Restart your computer. And that’s all you need to fix Iastordatasvc! Trying these solutions will help you fix the issues completely. Our solution helps are certain and we also have an interacting platform for you to leave your issues where we can reach you easily. Also, don’t hesitate to drop a comment if you need to know any more details about the IAStorDataSvc fix. Interacting with other users can help you understand the solution better. 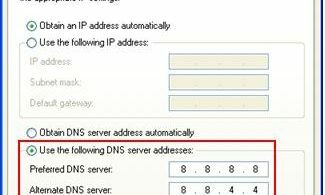 Best Public DNS Servers 2019!